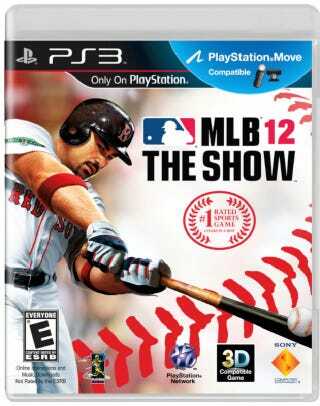 Boston first sacker Adrian Gonzalez holds down the box shot of MLB 12 The Show from Sony, breaking the two-year hold of Minnesota's Joe Mauer. Before Mauer, the last cover star for Sony's boutique baseball franchise was also a Red Sox, Dustin Pedroia, for MLB 09 The Show. Before him, it was Philadelphia's Ryan Howard. There are 31 days until pitchers and catchers report to spring training. And 47 until MLB 12 The Show hits shelves on March 6.